Alpacas should be checked daily as a minimum requirement, ideally morning and evening. Pregnant females will need more regular checking from 10 months of gestation onwards. Alpacas are gentle animals who rarely spit at humans unless severely stressed. Confident handling of your alpacas, in an appropriately sized pen, reduces the risk of stress for all concerned! Your alpacas will soon learn to trust you if you handle them well. Toe nails need to be trimmed 2-3 times each year. Teeth should be checked routinely (over grown teeth can cause feeding problems). Teeth trimming if required, is usually carried out at shearing time when the alpaca is restrained. Male alpacas develop fighting teeth at 2-3 years of age. These are usually removed to reduce the risk of injury to other males in its company. Check for any swelling around the jaw. This could be due to a mouth abscess and if so will need to be treated by your vet. Huacaya alpacas need to be sheared yearly. We can help you organise this. Alpacas need to be vaccinated against clostridial disease (a number of products are available). We currently use Bravoxin 10 on our adults. As with most animals, it is important that your alpacas are not subjected to an excessive worm burden. We dose our cria upon weaning, and treat as required.. We also do faecal worm counts to monitor the effectiveness. Some breeders recommend only treating on the results of worm counts rather than routinely. Alpacas are also at risk of liver fluke, especially if grazing on wet ground. We would recommend that you contact your own vet regarding local risks and recommended treatment. Alpacas do tend to hide illness in order to remain with the herd. 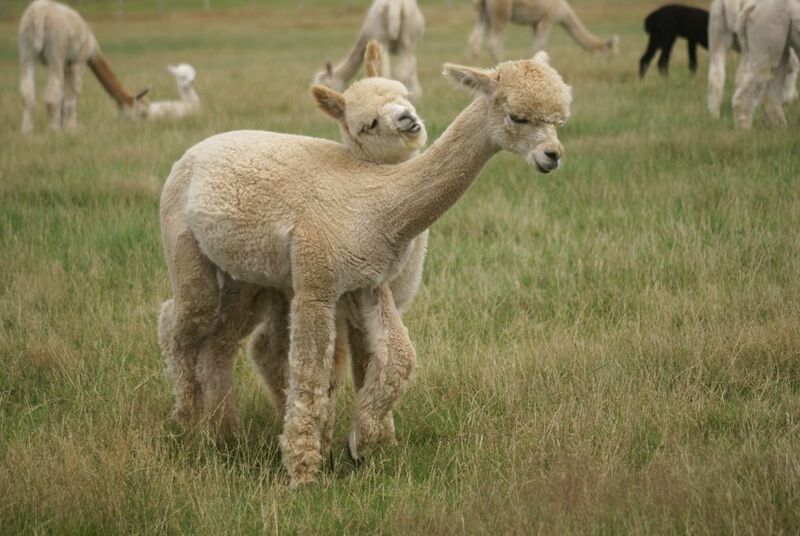 If your alpaca is displaying any kind of abnormal behaviour (and is not about to give birth) be concerned. If in doubt call your vet sooner rather than later. Alpacas are all individuals and have very different personality traits. We would highly recommend spending time in the paddock getting to know your animals, this way problems are spotted quickly. WARNING: spending time with your alpacas is addictive.